It seems that Amazon has plans for more text-to-voice functionality on its Amazon Kindle Fire tablets other than "Text-to-Speech," "Voice Guide," and "Explore by Touch". The reason we say this is that the company behind the technology used for these features, IVONA Software, was snapped up by the online retailer on Thursday for an undisclosed amount of money. IVONA has more clients than just the online retailer. The company counts many other firms worldwide as customers for its text-to-speech products. IVONA can match up its technology to meet what its customers need, especially with 44 different voices speaking 17 different languages ready to convert the typed word into sound. 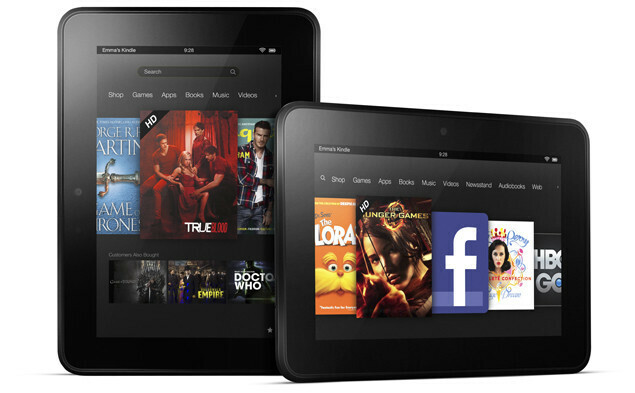 Lukasz Osowski, CEO and co-founder of IVONA said that the company is ready to continue to bring innovative products to its customers needing voice and language support, so this also could be a shrewd investment for Amazon as well as owning the company behind some of the features on the Amazon Kindle Fire tablets. We'd also expect to see Amazon work with IVONA on something proprietary in the field of text-to-voice that might give Android tablet buyers a reason, other than price, to buy an Amazon Kindle Fire tablet. Been using IVONA for text-to-speech for over two years now. I hope they stay in the Play Store. I think iSpeech is better than this company from what I have heard.